A very quick spreading groundcover that roots freely as it goes and can be invasive in moist soils. 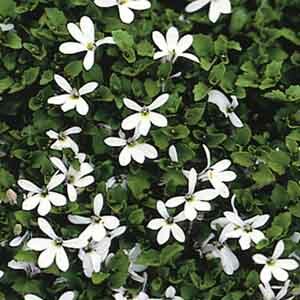 Plant it wherever its lush carpet of easy care foliage and dainty blooms won't crowd out other perennials. Perfectly sized for rock gardens and border fronts. Looks great spilling over container edges. Perfect selection for filling in between paving stones. Best in fertile, well-drained soil. Keep soil moist, watering freely in dry weather. Fertilize regularly for best display. Trim back as needed.